Panama City: The chief executive officer of Copa Airlines in Panama expressed optimism that Emirates would operate a direct flight to Panama City to boost aviation sector in the region. “We are still hoping for that flight to happen to Panama,” said Pedro Heilbron, referring to plans of Emirates airline to operate a direct flight to Panama, which was shelved later. A number of airlines across the world have stopped operations of Boeing 737 Max planes following the incident including Dubai based Flydubai which had eleven Max planes flying. 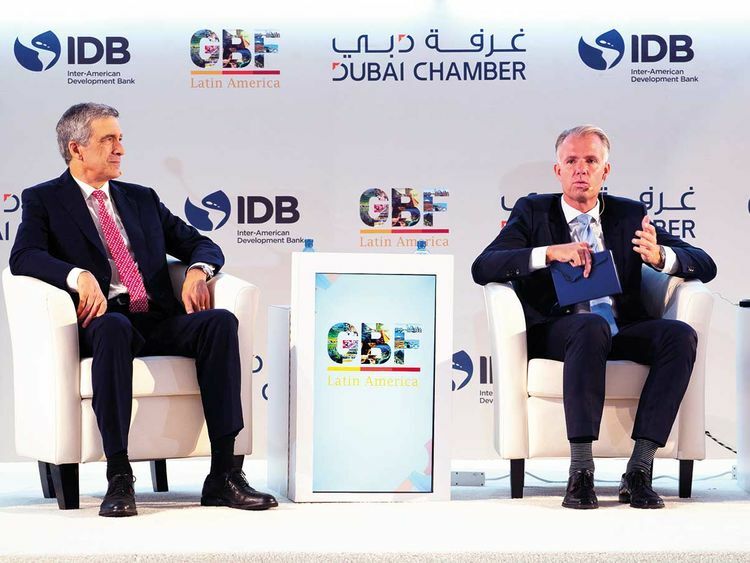 Meanwhile, the third edition of the Global Business Forum (GBF) on Latin America concluded on Wednesday in Panama City with a call from government and business leaders to capitalise on new trade and investment opportunities that are emerging in the Latin America and Caribbean (LAC) and GCC regions. A total of 800 delegates from 50 countries attended GBF Latin America — Panama 2019, including heads of state, ministers, top government officials, policymakers and business leaders. Dubai based Essa Al Ghurair Investment will invest in vertical farming in Abu Dhabi with a budget of Dh30 million, its chairman said. “We are trying to finalise the project and it will be a joint venture with a Dutch company as well as an Abu Dhabi based firm. We are going to produce all round the year,” said Eisa Abdullah Al Ghurair, speaking to Gulf News on the sidelines of Global Business Forum Latin America in Panama City. Vertical farming involves growing crops in vertically stacked layers in a skyscraper or a warehouse and is considered environment friendly due to less requirement of water as well as soil. Al Ghurair also said they started a flour mill in Oman and trying to construct silos with an investment of Dh120 million.